Electrical Alliance contractors work on some of the Washington, DC region’s most visible and award winning projects. Their skilled electricians install the latest technology in high-profile spaces and focus specifically on safety and time management while doing it. To end the year, we’re taking a look back at some of the projects Electrical Alliance contractors worked on over the past 12-18 months. Rosendin was the electrical contractor for several construction projects at CyrusOne’s Northern Virginia data center. One in particular, known as Project Goliath, totaled 220,000 square feet and set a new construction speed record, being constructed in 26 weeks. The project included the installation of (20) 2500 kW generators, (20) exterior walk-in switchgear/UPS containers containing (40) 750VKA UPS’s, and (120) 375KVA STS/PDUs. 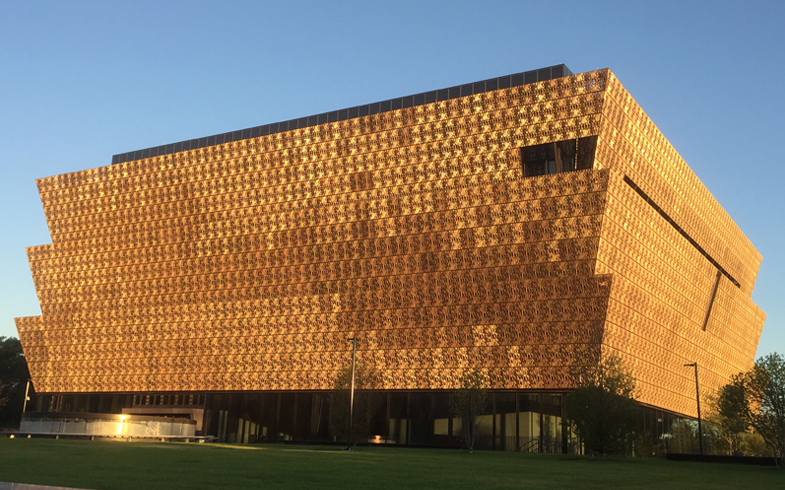 The National Museum of African American History and Culture was complete and opened to the public in 2016. Mona Electric Group, Inc., provided services for the main building as well as supporting the buildout of the exhibits for this iconic space. Dynalectric helped install multiple specialized mechanical and electrical systems that support Intelsat’s satellite launches and operations in this new 181,000 square-foot high-rise building in McLean, Virginia. Despite an eight-week interruption, Dynalectric completed the project in just 26 weeks. For its outstanding work, Dynalectric won the Award of Merit for Interior/Tenant Improvement (systems infrastructure/tenant improvement) from Engineering News-Record MidAtlantic. Singleton Electric was chosen to provide electrical services that power the machines that divert floodwaters from Bloomingdale and LeDroit Park neighborhoods in Washington, DC. The project was so successful that Engineering News-Record MidAtlantic named it the Best Project, Water/Environment for 2015. When Arlington County, Virginia, decided to open its first year-round homeless shelter, it bought an office building in the heart of the city that needed a little refreshing. America’s Best Service, Inc. (ABS) installed a new generator, a 260KW MTU natural gas unit, to replace the 50-year-old generator on the roof of 2020 North Courthouse Road. J. E. Richards Electric recently put the finishing touches on the Cornerstone Chapel, a beautiful new house of worship in Leesburg, Virginia. Maximizing energy savings and sustainability were key considerations in the design of the building. The J. E. Richards team delivered a building that is beautiful and highly energy-efficient. Next year, it could be your project featured in our recap! Find an Electrical Alliance contractor that’s right for you by searching our database.